Beet's dark red color is not only a great addition to various dishes, but it may also have health benefits! Its pigment called betalain is thought to have antioxidant and anti-inflammatory effects, and may be associated with lower risk of diseases. Not sure how to cook them? Try our Beet Linguine. 1. Preheat oven to 400-425º F.
2. 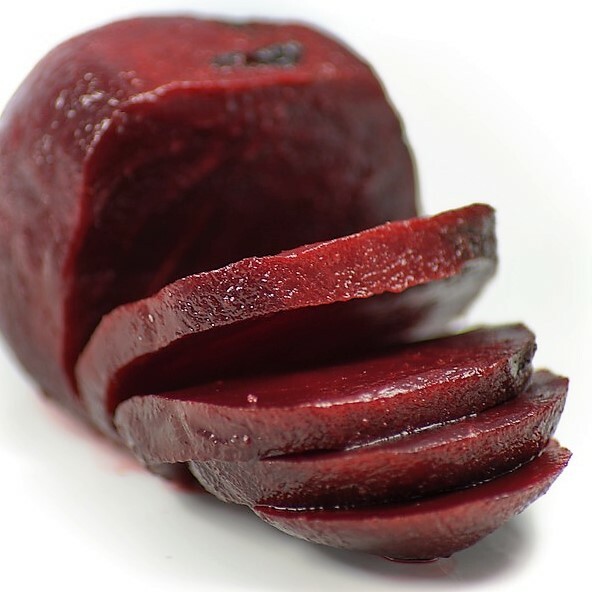 Peel beets, slice them into ~1/4 inch thickness, and cook them in the preheated oven for 20-30 minutes. 3. Cut chicken breasts into chunks and sprinkle with salt and pepper. Cook in a frying pan with coconut oil (3-5 minutes on each side). 4. Fill 2/3 of a large pot with water, add 1 tsp salt, and boil. 5. Cook linguine for 5-7 minutes and drain. 6. Mix linguine with baby spinach, beets, and chicken. 7. Add Parmigiano cheese and olive oil to your preference and enjoy!